Battery-powered bike for kids. Weight 8,2 kg. 6 V battery. Suitable for children from 3 to 8 years. Maximum load 20 kg. Sound effects, reverse. 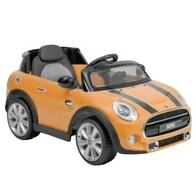 Battery-powered car for kids. Weight 9,9 kg. 2x6 V battery. Suitable for children from 3 to 8 years. Maximum load 25 kg. Two engines, sound effects, reverse, remote control. 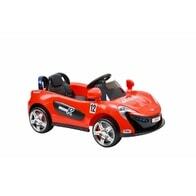 Children accu car. For children aged 3-8 years. Light and sound effects, remote control. Maximum load 30 kg. 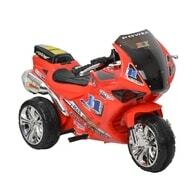 Accu children quadbike. Maximum load 30 kg. For children from 3 to 8 years. Sound effects, reverse and 2 motors. Akumulátorové autíčko, max. zatížení 30 kg. Akumuátory 2 x 6 V (12V), 4,5 Ah. Rychlost 3 - 4 km/h. Světelné a zvukové efekty. Pro děti 3 - 8 let. Children accu jeep. Maximum load 30 kg. For children from 3 to 8 years. Speed 4 - 7 km/h. 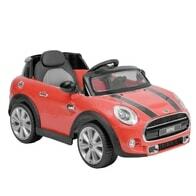 Light and sound effects, reverse, big wheels, 2 motors, remote control, audio input. 10 Ah battery. Children accu bike. Original licensed BMW. Maximum load 30 kg. For children from 3 to 8 years. Speed 3 - 6 km/h. Děstké autíčko. Max. zatížení 30 kg. baterie 12 V, 7 Ah. Motor 2x 45 W. Pro děti ve věku 3 - 8 let. Rychlost 3 - 5 km/h. Světelné a zvukové efekty, dálkové ovládání, MP3, USB. Originálkní licensované BMW. Dětské dvoumístné autíčko sportovního vzhledu. Max. zatížení 35 kg, Baterie 12 v / 10 Ah. 4 motory 35 W. Zvukové efekty, MP3, dálkové ovládání. 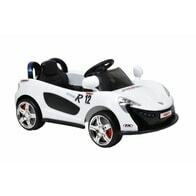 Children battery powered car. 10 Ah battery. For children aged 3-8 years. Sound effects, remote control. Maximum load 30 kg. For children aged 3-8 years. Light and sound effects, remote control, two opening doors. Battery 7Ah/12V, weight 23 kg, speed 3-6 km/h. Max. load: 30 kg.